Isn't that the Broken Arrow logo? Yeah, I don t think there’s any real significance though. It’s more like a comment on the stream being broken than anything related to the album. Neil did break out Distant Camera for the first time in 20 years, which was pretty cool to see. 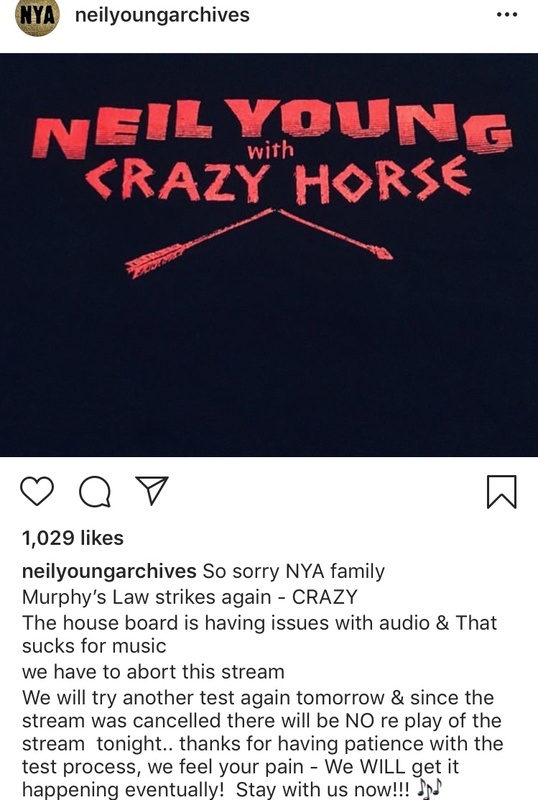 Neil & The Horse are on stage tonight. and tomorrow. I'd kill for a ticket! Guessing no Poncho again? Wonder what happened there. Is Nils on this tour? Tonight's show is being Streamed on NYA. Starting in a about 45 minutes. Yeah he's filling in for Poncho again. 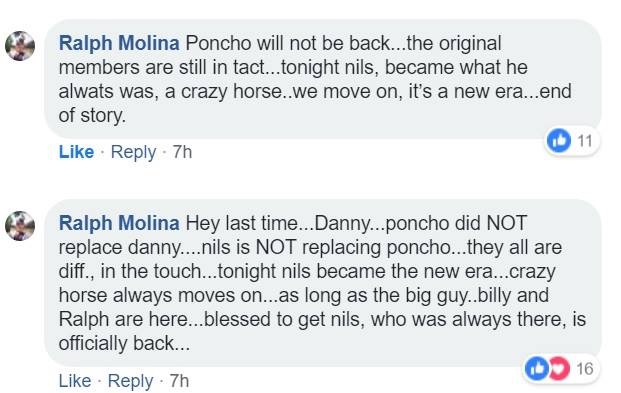 Nils is a cool replacement for Poncho. Wish Poncho the best in his retirement. One of my favourite rhythm guitar players! Just bought tickets for both Seattle shows today. There are amazing tickets available, even with on sale starting days ago. I bought row G in the center sections of the floor for each gig. Neil really is a genius! That was awesome. I can’t wait until this soundtrack is reissued on vinyl. Yeah, didn't he watch the movie and recorded a soundtrack twice, and that was it? Not long to go now! 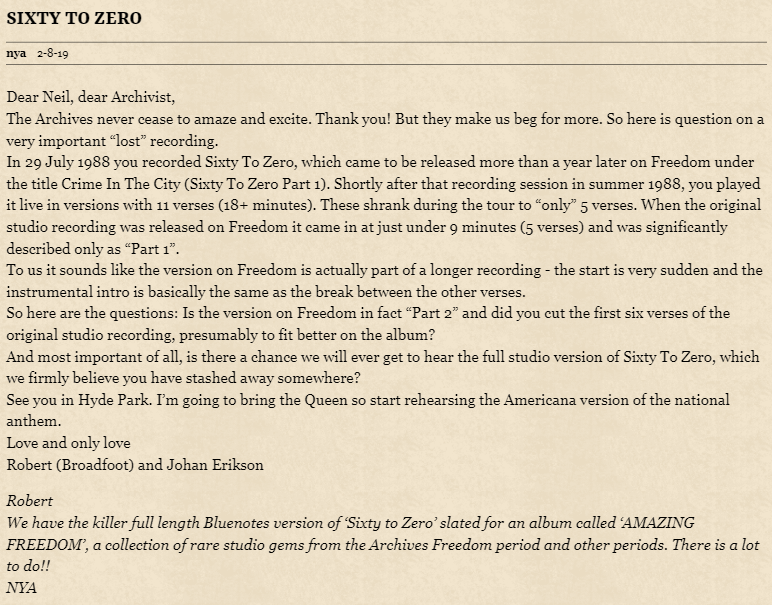 The full version of Sixty To Zero is going to be on a compilation called Amazing Freedom, "a collection of rare studio gems from the Archives Freedom period and other periods"
Mine didn’t have a download code either. Reactor never got a tour? Ah right, damn, ok, I forgot. Picked up a pristine used copy of Decade at my local shop today. $10. Shockingly it’s the first Uncle Neil album in my vinyl collection. Can’t wait to spin it tonight. One of the big surprises of the NYCH tour of Australia/New Zealand in 2013 was that they broke out Opera Star at 4 of the shows. I think it had only been played once since the late 80s before that tour. We got it as the final encore in Sydney, and it was completely unexpected. 1 NY record down... only 65 more to go!